Thiruvannamalai Girivalam is a holy trailing, where thousands of devotees participate to show their devotion. This event will be held on every full moon day (Pournami). Arunachalam means holy hill which is red in color. This hill is of 2668 feet high. It is said that this hill was fire during Kruthayugam, Emerald during Threthayugam and Gold during Dwaparayugam. It is said that when Lord Siva appeared in a great flaming cosmic pillar, Lord Brahma and Lord Vishnu requested him to take a benevolent and accessible form for the sake of all beings. On their request, Lord Siva manifested himself as Arunachala Hill. 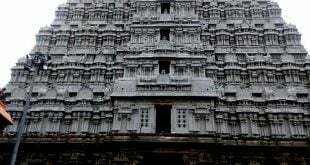 Lord Siva, said that all holy places will derive their sanctity from this place. For the benefit of all beings, every year on the day of Karthigai, he started appearing as a peace giving beacon on top of the hill. 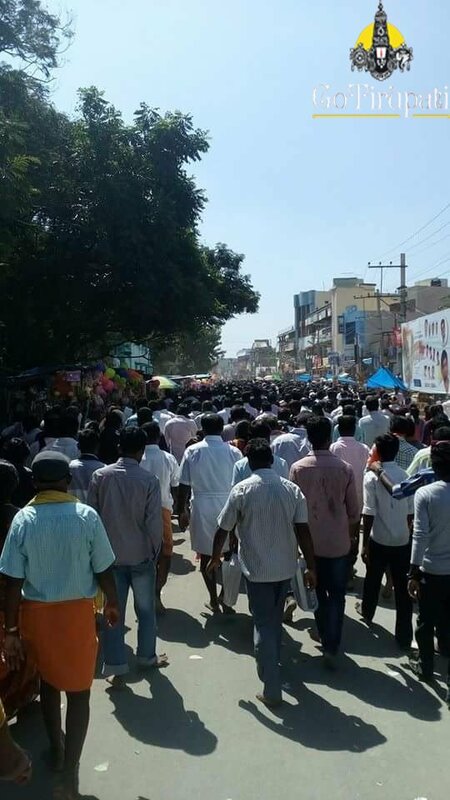 Devotees gather at Thiruvannamalai to view the holy fire and starts walking around the hill. Girivalam covers a distance of 14 km – 15 km, wherein devotees walk around hill barefoot. 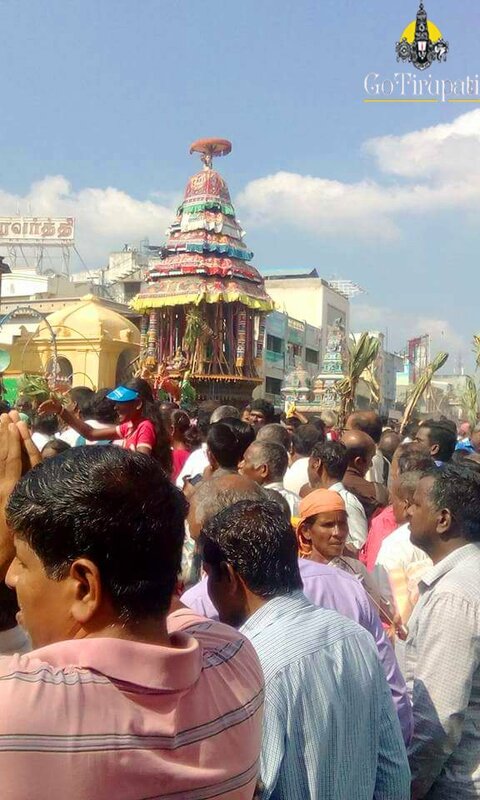 Before starting with Girivalam, devotees offer prayers to Irattai Pillayar (Lord Ganesh), which is located to the left of Raja Gopuram (Temple Tower). En-route, devotees will be covering 8 Siva Linga shrines, namely Agni, Yama, Varuna, Niruda, Vaayu, Kubera, Eesana and Surya Lingam. Surya Lingam shrine is located right opposite to the Arunachaleswarar Temple. It is believed that performing Girivalam will relieve one’s from the birth cycle. 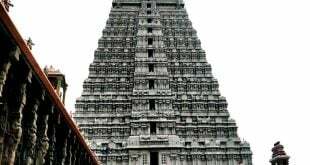 How to reach Thiruvannamalai Temple? 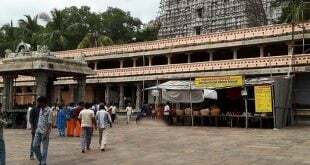 From Chennai Temple is 207 km away, which takes 3 hours 45 mins drive by own vehicle and 4 hours 30 mins by bus. Daily trains are available from Chennai to Thiruvannamalai. Special trains will be available on this day. Thiruvannamalai well connected with all parts of Tamilnadu. Thiruvannamalali can be reached from Chennai and Villipuram. Villipuram is 61 km away.